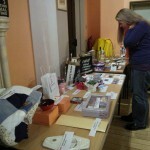 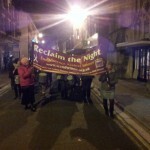 Our Reclaim the Night for 2013 was a brilliant evening and raised a fantastic £526.70 for the Women’s Refuge. 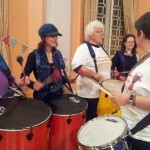 The evening started with a drumming workshop from Organic Rhythm. 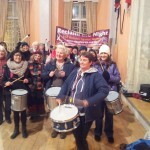 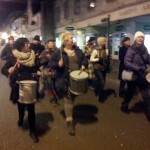 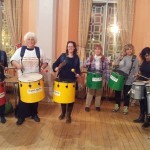 We then took the drums on a march thorough Dorchester. 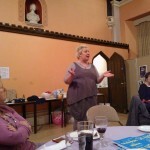 Following a light supper (made by our wonderful catering team), Tracey West (WAND Patron) led the charity auction. 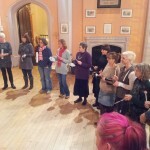 The mo neyraised will be used to take the children saying at the refuge to see a pantomine and enabling them to buy their mum’s a Christmas present. 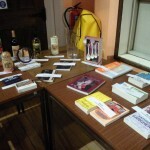 A huge thank you to all those who attended and gave so generously – including two incredibly generous donations of £200 and £25. 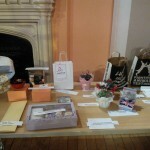 A massive thank you to all those who donated the prizes including: Dorchester Beauty Therapy, ToyMaster, Naturlife, Melbury, Joshuas, Goulds, Steptoes, Gilded Teapot, Morrisons – Weymouth, Tracey West, Waterstones, Harriet Walter, Poundbury Garden Centre, Cherryade giftshop, The Half Moon Bead Shop, Isquiggle, Asda, Mark Anderson, and Splashdown Poole.